Prickly Pear Seed oil, barbary fig oil or Aknari however you choose to call it, is the “hot” beauty oil of the moment. The beauty industry and media like Allure Magazine have finally started buzzing about its miraculous benefits on skin and hair. The Organic SPA Magazine named it “Hot” ingredient in 2014 and featured our KENZA Pure Fusion oil. 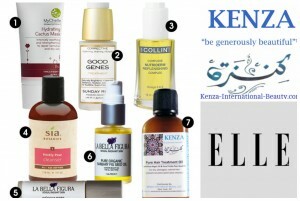 ELLE Magazine featured this precious beauty ingredient and our unique KENZA Pure Hair Treatment Oil. The Opuntia Ficus Indica plant is a member of the cactus family and is commonly known as Prickly Pear (also known as India Fig Opuntia or Barbary Fig). Native to Mexico, it can now be found in various arid and semi-arid areas of the world such as Morocco. Also called the miracle plant for its ability to survive during long droughts and still produce healthy fruits, the cactus plant grows in open fields without exposure to fertilizers or pesticides. The Prickly Pear fruit contains numerous small black seeds from which the precious Prickly Pear Seed Oil is extracted. The oil has been used by generations of Berber women to fend off the effects of dry desert conditions. Prickly Pear Seed Oil is one of the most expensive beauty oils in the world. 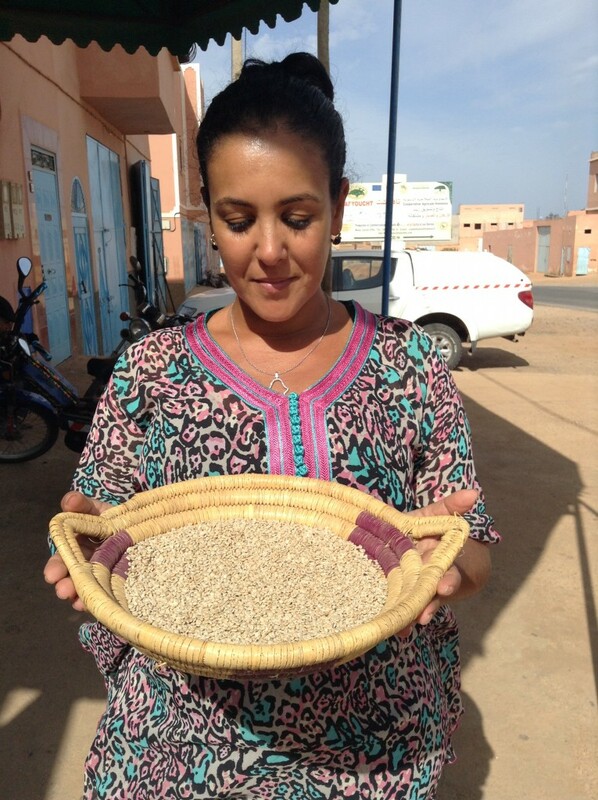 Its production requires a labor intensive and time consuming (up to four days) process manually handled by Moroccan women at cooperatives. The Prickly Pear seeds are separated from the pulp and are then dried before being cold pressed. Because each seed contains only 5% of oil, up to 60 lbs. of seeds (and a half a ton of fruits) are required to yield about 34oz. of oil. Here you can watch a video from my recent trip to the south of Morocco, in the Ait Baamrane region, where the Prickly Pear Seed Oil is produced. KENZA Pure Prickly Pear Seed Oil is ideal to use as a night serum for an intense treatment of the face, neck, and décolleté that leaves your skin with a healthy natural glow. 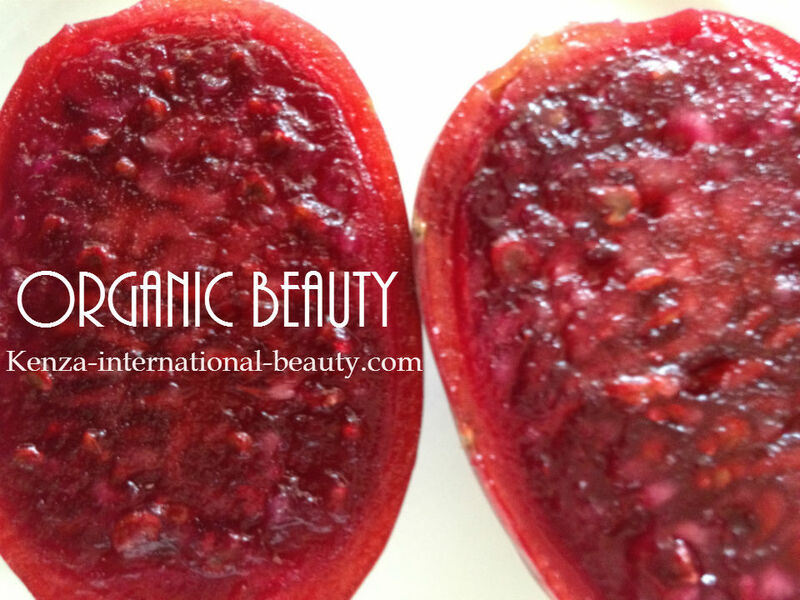 Have you included pure Prickly Pear Seed Oil in your beauty care routine? This entry was posted in Pure Moroccan Beauty Oils and tagged aknari, Alllure, allure magazine, Barbary fig oil, beauty, cactus oil, Elle-Magazine, huile-de-figue-de-barbarie, KENZA International Beauty, KENZA Pure Fusion oil, KENZA Pure Prickly Pear Seed Oil, MOROCCAN OILS, opuntia-ficus-indica, organic spa magazine, PRICKLY PEAR SEED OIL. Bookmark the permalink.